Lakewood Park had a casual hot dog supper in the park on Saturday, May 14. Thanks to the hostesses: Tammy Cregg, Henrietta Goncalves, Anna Huck, Sara Beth Nipper and Cherry Sonnier. Thanks to Peter MacInnes for the photographs. The weather was sunny, nice and clear. A slight breeze and the shade kept it very comfortable. 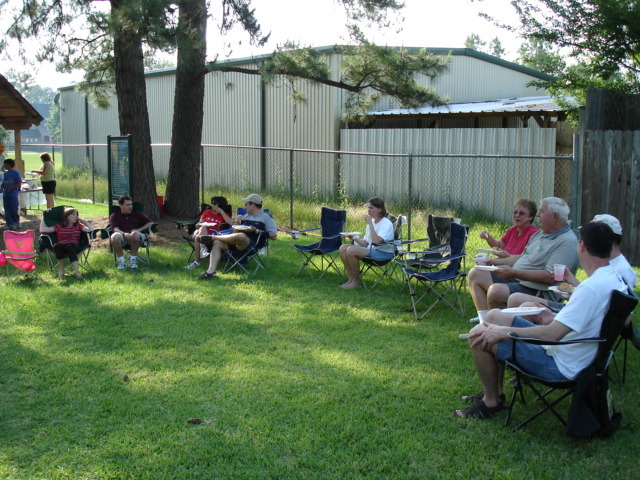 The children enjoyed the park, and the adults enjoyed meeting their neighbors. There was plenty of food and drink. All neighbors are invited and encouraged to attend these events. They are great opportunities to meet the neighbors, discuss the community and keep the neighborhood nice.